Get the perfect pout with Lip Fillers. A Heart Lips® lip enhancement treatment using dermal fillers usually takes around 30 to 60 minutes. You should make a full recovery from this treatment within 24 hours, and most people are able to head back to work immediately. If you experience mild redness, swelling or bruising at the injection sites, you may choose to take some downtime, although you should find that you can return straight to your usual daily activities. Full lips are the ultimate sign of youthful attractiveness, but as your skin begins to lose its natural volume over time, you may notice that your lips look thinner and less defined than in the past, with fine lines bleeding into them that break up their outline. To correct these issues, more and more people are turning to dermal fillers for luscious, gorgeous lips. Here at Bamboo Aesthetics, we provide lip enhancement treatments to increase the volume and definition of your lips to give you the perfect pout. These treatments are non-invasive and have no negative long-term effects. We are one of a limited number of clinics in the UK to use Heart Lips®, a leading lip augmentation design and technique developed by Dr Bob Khanna. With Heart Lips®, we can enhance the natural heart-shaped appearance of your lips to give you a more classically feminine and beautiful appearance. What is lip enhancement with Heart Lips® and how does it work? 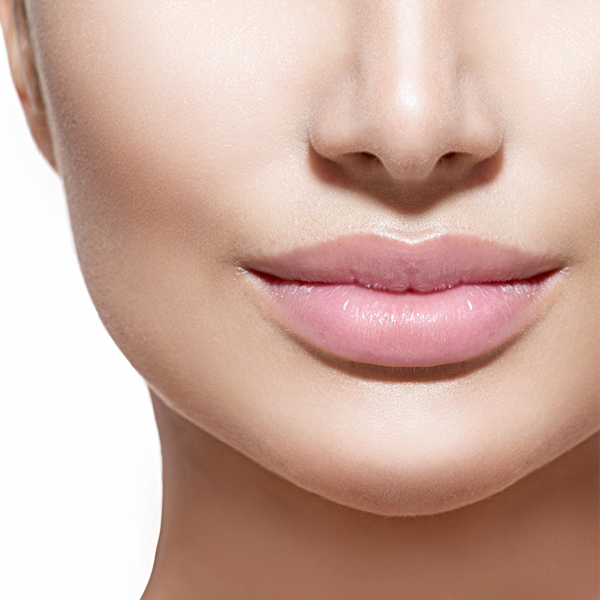 Heart Lips® is a lip augmentation technique using dermal fillers that have been specially formulated for use in the lip area and combined with lidocaine to give you a comfortable, pain-free treatment. The dermal fillers used for this treatment are soft and flexible, giving your lips a lovely, natural feel. The focus of the treatment is to gently sculpt your lips to enhance their natural heart shape – a feature that is widely associated with beauty, sensuality and femininity. How soon will I see the results of a Heart Lips® lip enhancement treatment? You will be able to see the results immediately. You should see the results of your treatment for six to 12 months, after which you may decide to have a top-up treatment to maintain the heart-shaped definition of your lips. Are dermal fillers used in Heart Lips® lip enhancement safe? The dermal fillers we will use in and around your lips have been through extensive clinical testing and have a proven safety record. Side effects tend to be limited and self-correct within 24 hours. That being said, it’s important to choose a practitioner who have relevant skills, training, qualifications and experience, as this will help to reduce the risk of side effects. After a Heart Lips® treatment with dermal fillers, you may experience some mild bleeding, redness, swelling and bruising at the injection site, especially as the lips are a sensitive area of the face. These side effects should resolve without any help within two to three days at most. Allergic reactions have been reported on rare occasions, and include symptoms such as prolonged redness, swelling, itching, or hardness and bumps in the skin at the injection site. Dermal fillers in and around the lips can cause cold sores if you’re prone to outbreaks. If you let us know in advance that you suffer from cold sores from time to time, we can prescribe prophylactic medicine for you to take before your treatment. Before you have any treatment at Bamboo Aesthetics, including Heart Lip® lip enhancement, we will talk you through the potential side effects, as well as the pros and cons of that option within the context of your individual case. It’s important that you have the information you need to make the right decision for you. How much does a Heart Lips® lip enhancement treatment cost? A Heart Lips® treatment costs £550. When you come into Bamboo Aesthetics for your initial consultation, we’ll give you a full and transparent breakdown of your treatment costs so that you can make an informed decision.